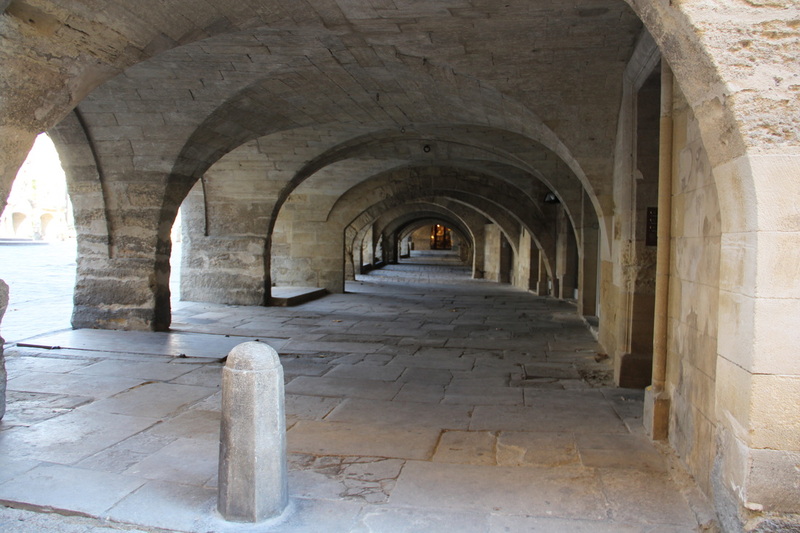 Today we are going to Arles. 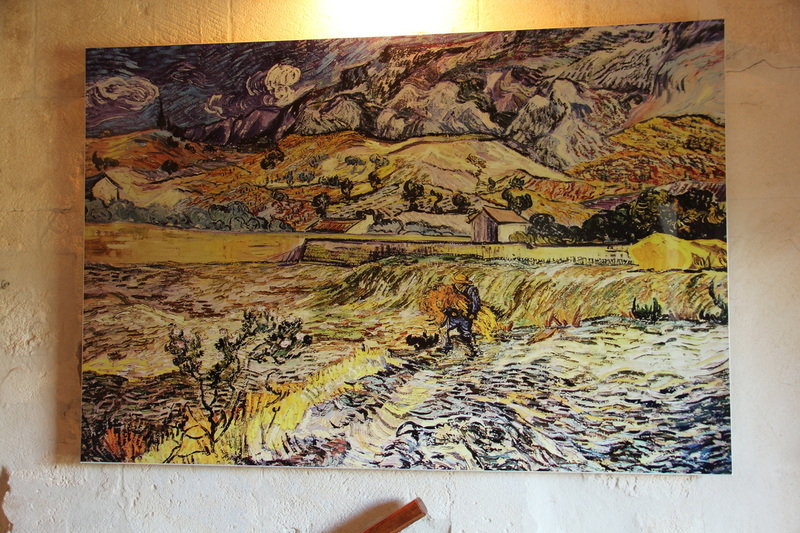 The lure of Vincent Van Gough’s traumatic time in this region is too strong for Margie to resist. 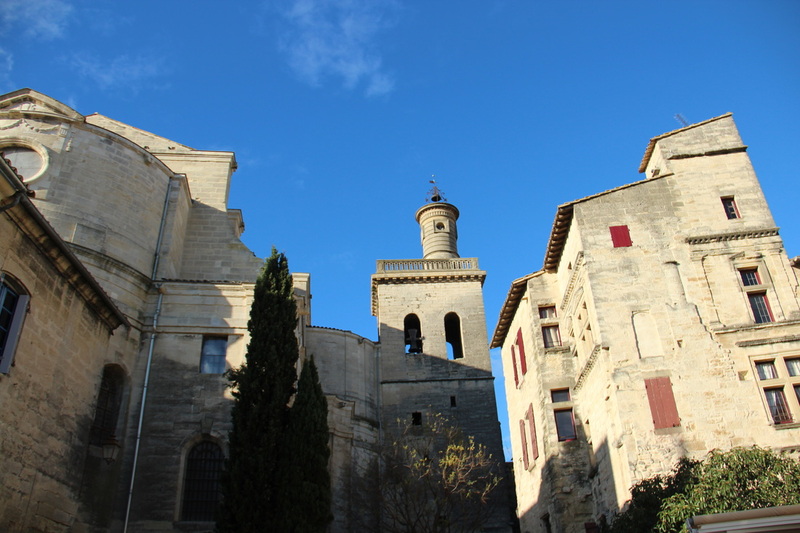 The Languedoc and the Rhone Valley are also one of France’s more famous wine producing regions and I have managed to secure a guide for a tour of vineyards and other attractions of the nearby town of Uzes. Originally hoped to fit in a trip to Marseilles but the tight schedule (not to mention the towns unsavoury reputation) has seen us drop it off the agenda, at least for the moment. 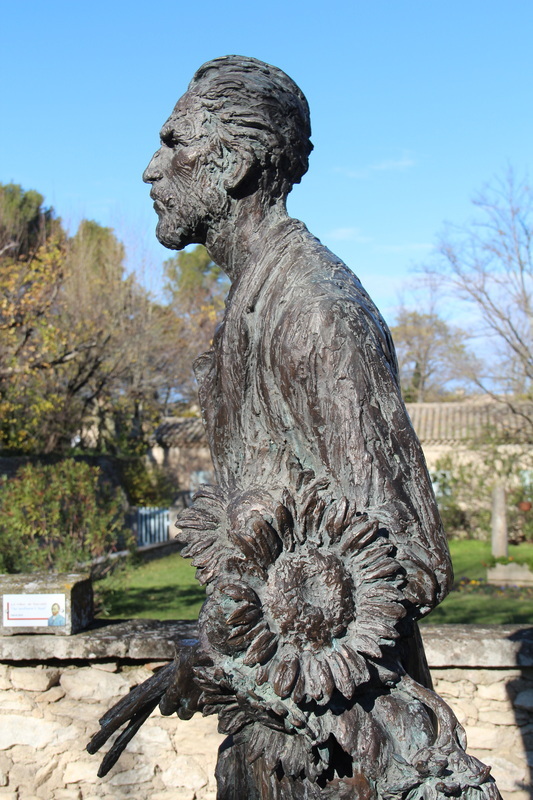 Hopefully however we will get time to squeeze in a visit to Aix-en-Provence. 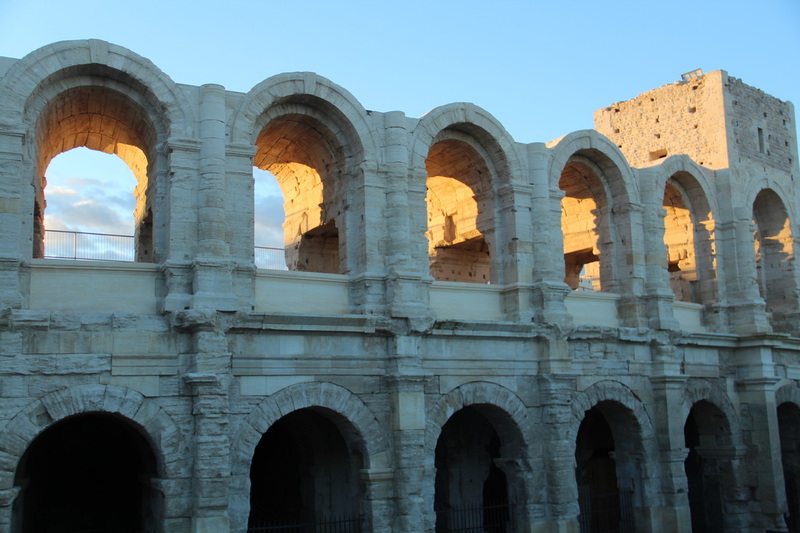 A couple of hours of driving, most of it on the fine French freeways sees us in Arles. 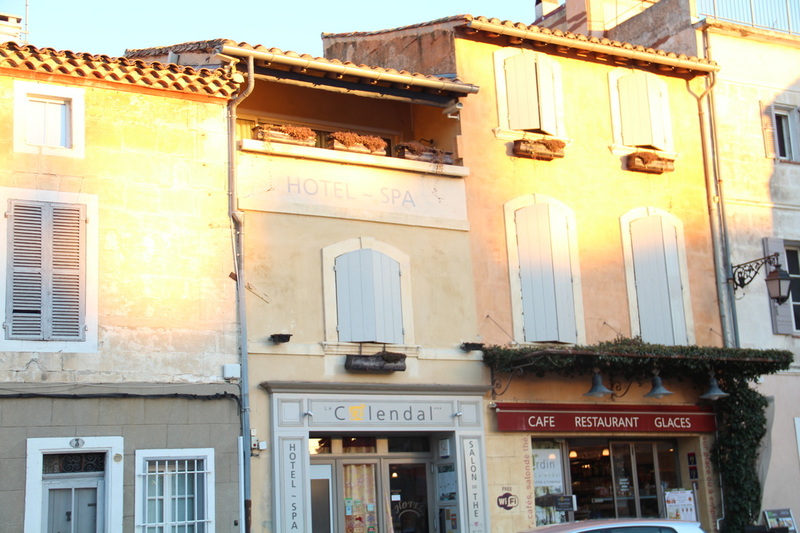 We find the hotel Le Calendal and book in. 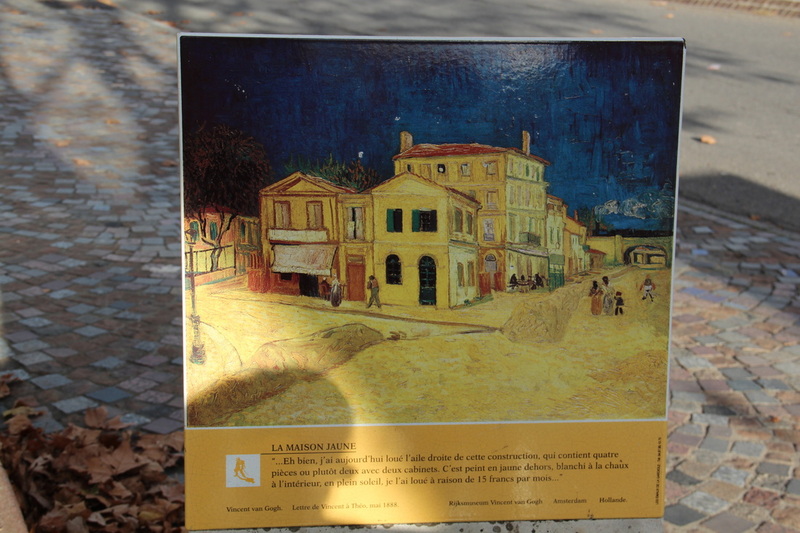 It’s a quaint little hotel about 50 metres from the ruins of the amphitheatre and Roman Theatre and adjacent to the major attraction of the old part of the city, the Van Gogh Trail. Its lunchtime and we have learnt that it is useless to try and do anything in France at this time except have lunch, so we do. 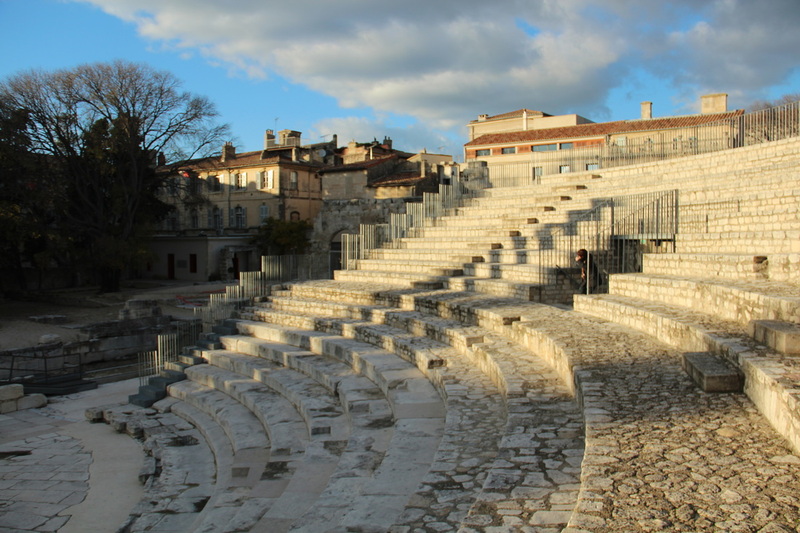 Arles is an ancient Roman City and there is are remains of the an amazing Roman Theatre and a massive Amphitheatre. Both are still in use. In the period following Roman expansion into Europe and England Arles was a prosperous and productive area. 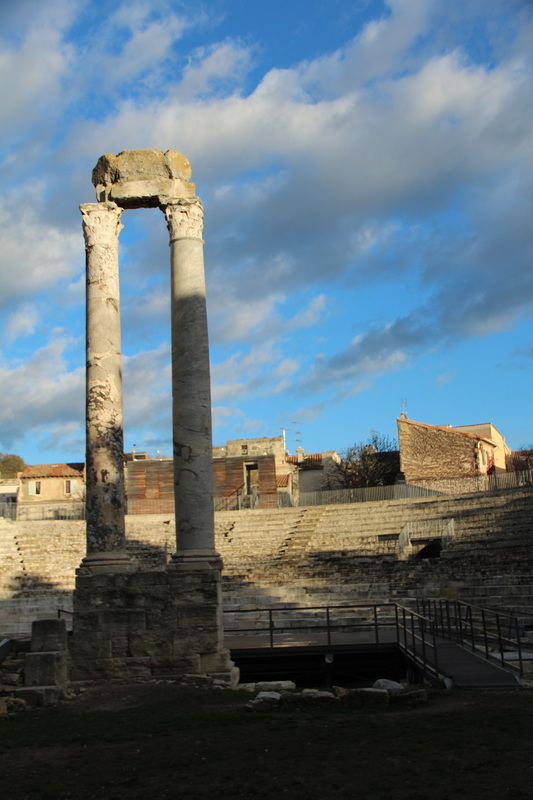 Julius Caesar gave property at Arles to the veterans of his legions (an early soldier settlement plan) and this helped stabilise the area and promote the economic development of the region. 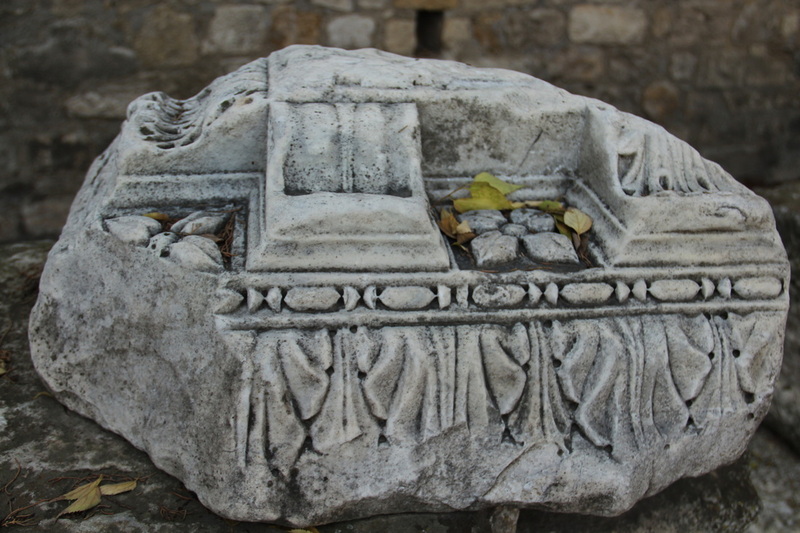 At this time Arles, by virtue of its position on the Rhone River was a major port. After exploring the old city we head back to the hotel for a drink and a chance to warm up (its getting cold outside). Then we decide it is time to for another attempt to find the best restaurant in France. There is a well reviewed one just a block from the Hotel (which is good because as I mentioned it is very cold outside). There are only 2 Michelin Star Restaurants in the city area, although there are 20 or so in the region, and Le Cilantro is one of them. We try to get in early at 7pm only to be told that the restaurant doesn’t open until 7.30pm. 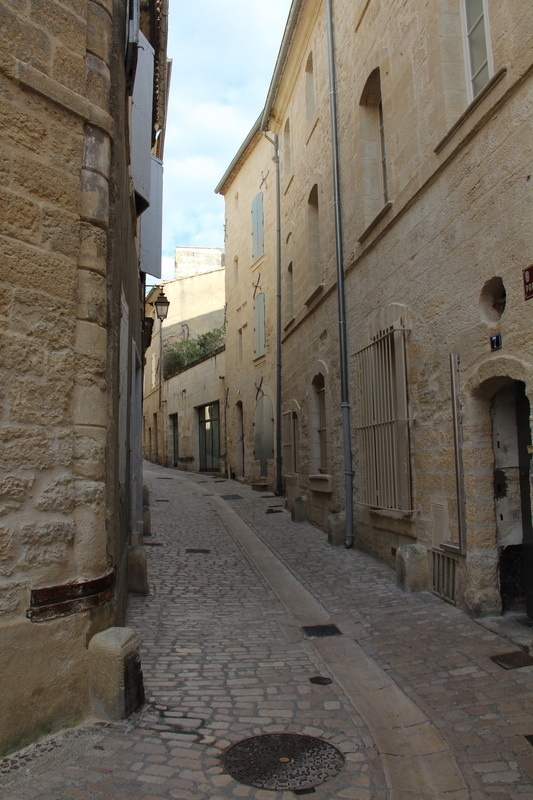 A brisk walk around the old part of the city and we are back to be shown to our table. The winelist is formidable especially for someone with a less than encyclopaedic knowledge of French wine. The menu is less intimidating. There is a market menu, 3 courses for E45 or an 8 course degustation at E85. You can also order a la carte from the degustation menu. We opt for the market meu. Margie has a fine mushroom soup and chicken breasts followed by tiramisu. The French mushroom soups are so good and unlike the bland imitations that are served up at home. Every market has tables of fresh fungi of every variety imaginable and they are often paired off with foie gras but in this case it is a truffle (the season is just starting). The chicken breast is perfectly cooked with something like a flavoured butter forced in under skin before roasting. Simple and delicious. The tiramisu comes in 3 separate parts, chocolate sauce, the biscotti and mascarpone and a little glass of caramel ice cream. All very good. Pity Alex is not here as he is the Tiramisu expert. I have a tempura mackerel starter. It is very good with the tempura batter being almost indistinguishable from the crispy skin of the fish. Then steamed cod on a creamy pesto base with baked white beans. An interesting mix that reminds me of Neil Perry putting robust flavours with white fish. I finish with 3 regional varieties of goats cheese again presented simply with bread and plenty of time at room temperature. I gave up on the wine and asked an enthusiastic young sommelier to bring an appropriate glass of wine for each course. He was up for the challenge. We got some good wines none of which I had ever heard of. The best of which were a very good light red which Margie enjoyed with her chicken and an even more outstanding treacly red, unfortified but matured in old whiskey barrels to go with the tiramisu. The other amazing thing about this restaurant was the amount of free stuff we got. Little appetisers before we ordered and then again before the entrée. There was more both before and after the dessert course and several chocolates even though we only ordered one coffee. A veritable armful of tasty morsels that were well suited to the flavours of the main offerings. The food was interesting and extremely professionally done. The wines well suited and the service attentive without hovering. 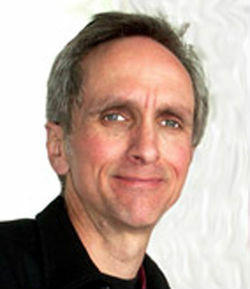 If there was a criticism it was in the balance of the offerings. As there was only 2 choices in each section of the “market menu” it the offerings seemed a little unbalanced. Maybe that was more the fault of the market than the chef. Overall very good but not exceptional. 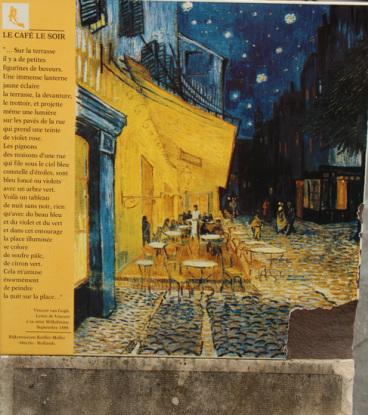 Certainly a step up on many of the day to day French restaurants that we have visited. 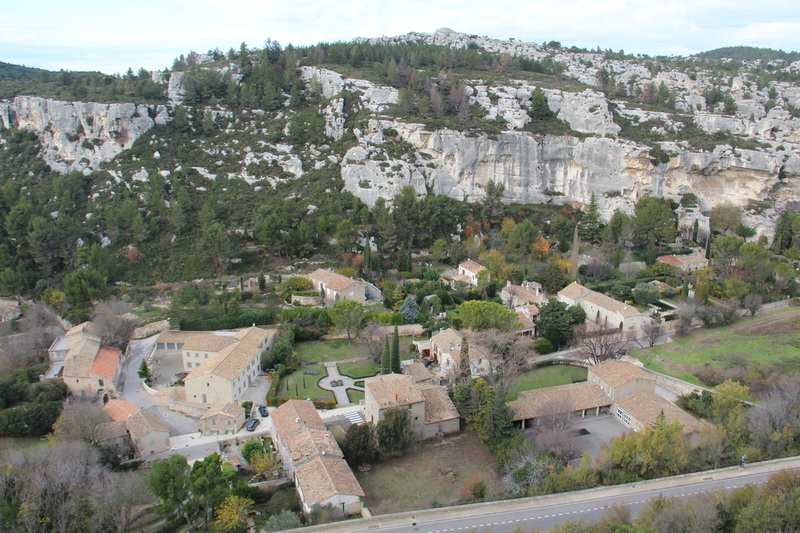 Tomorrow we are off to Uzes which is about 50 mins drive and we have an early start. 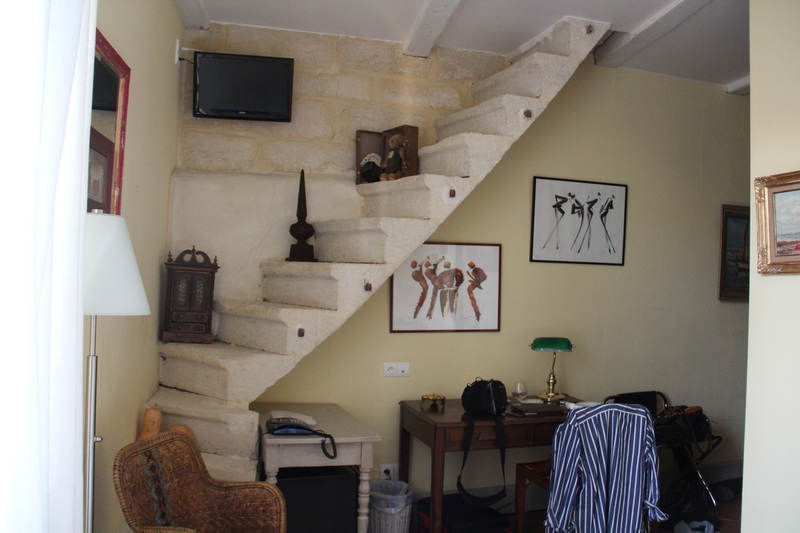 our room with the stairway to ....? We get going early as we are off to Uzes that is about 60 kilometres away to meet Joe McLean. He runs Promo Vinum Winery Plus Tours. It is out of season and Joe would not usually be doing tours but he has managed to put together an interesting day for us at short notice. 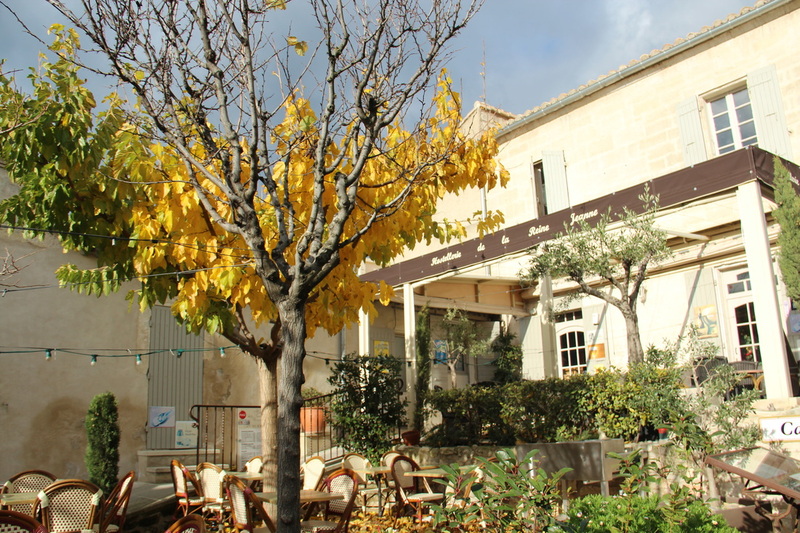 We find Joe outside the La Poste in Uzes and start with a coffee whilst we chat and get to know a bit about each other. Joe is a Canadian from Ontario but he has been in France for many years. He has a French wife and children. A chef by profession he has also worked as a teacher and now he runs wine plus tours out of Uzes. There are plans for cooking classes as well. I think this would be a popular addition. First we visit Amy at Domaine La Gramiere. 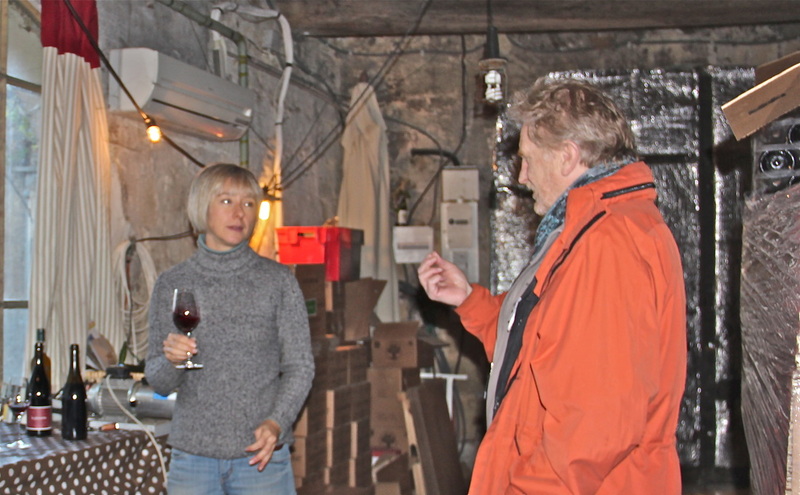 Amy and her partner Matt run a small winery and cellar on the outskirts of Uzes. There vines are a little way away at Castillon du Gard.They are making bio-dynamic wines and have quite a small production. We taste some of her wines and have a great time discussing some of the trials and tribulations of an outsider running a small winery in provincial France. Next we went to De Grappes et d’O an organic winery run by Remy Curtill. Most of Remy’s wines have no sulphur at all which is good news for Margie who is a bit sensitive to the sulphur in some wines. It tends to reduce the pleasure if your eyes and nose start running like a tap within 10 minutes of your first sip. 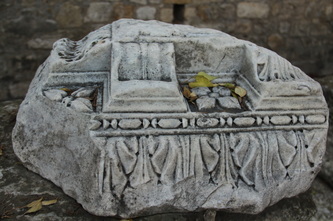 Even the wines in which he is required to use sulphites (due to the rules of the local AOC) have less than 20% of the sulphur allowed and found in many wines. Here we taste this year’s vintage direct from the vats. It will be another 10 months before this wine finds its way into oak barrels where it will stay for 12-18 months before bottling. Remy tells us of an Australian winemaking friend who worked at his winery for a while. He recalls that the Australian thought the French “lazy” in that they left a lot of the process to chance. Remy on the other hand thought that to be part of the charm of the job. Leaving some of it to chance produces an unpredictable result. Sometimes very good and sometimes not so good. Such is life. 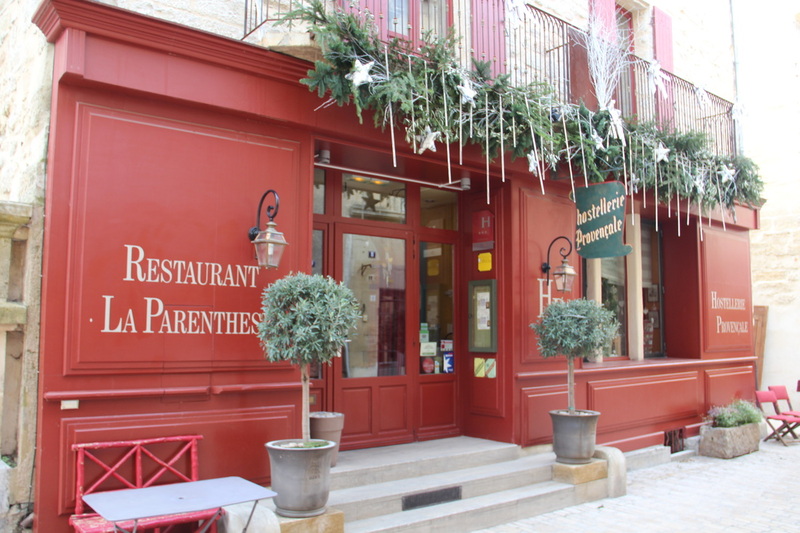 Lunch in a small café, Ma Cantina, in Uzes is next up. Joe takes us to a place where he is well known and we have a light lunch and chat some more. It is really invaluable to have someone like Joe to talk to as he is able to fill in and colour for us the picture that is life in this part of France. We also learn a lot more about the regional wines and the way the French wine industry is heading. All fascinating. After lunch we head off to Domaine de Malaigue. This is another organics winery run by François Reboul. We have an interesting time here whilst being served some wine by Dominique who refuses to use his rather limited English and insists that we communicate with our even more limited French. Consequently our best communication there was with the winery’s very verbal dog who found that we spoke dog quite adequately. To provide a bit of variety Joe next takes us to Moulin d’Uzes. This is an olive mill where the olives of the region, that are currently being harvested, are milled. We check out the whole process and then taste some of the just pressed oil. The oil is greenish and vivacious to smell and taste. Surprisingly it has a peppery finish that is most unusual but very agreeable. We all agree that it will make an outstanding dressing for salad. Our last stop for the day is a relatively modern winery, Domaine Deleuzes Rochetin near Arpaillargues which is owned by Catherine and Jean-Michel Cattonnet. 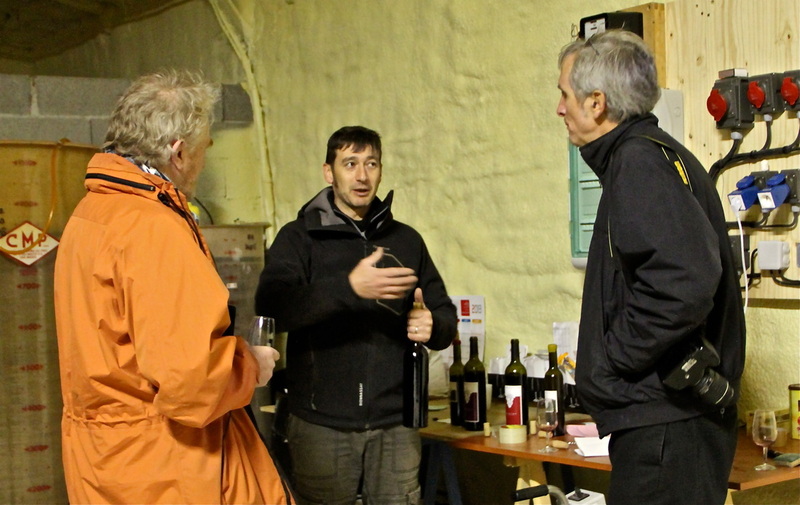 Our visit is hosted by the winemaker Bertrand Salves. Bertrand had worked in the Clare for sometime so we are able to chat about Australian wines. Again we taste this year’s vintage direct from the vats. 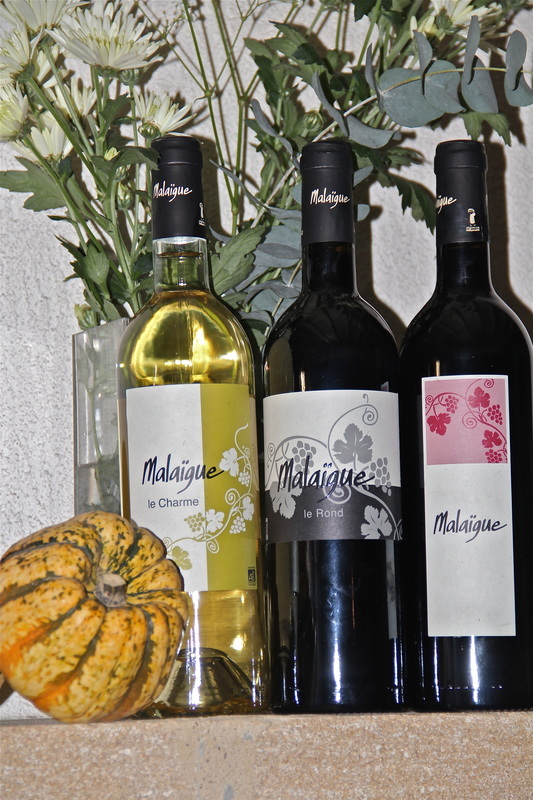 We discuss the making of the wines and are amazed by the passion and effort that he goes to produce his wines. He tells us that there are 4 different lots of Syrah on the estate and each grows in a slightly different soil type producing a distinct vintage. Although they are relatively small plots they are crushed and fermented separately and then blended to produce a wine that then carries part of the distinct (and totally unreproducible) characteristics of its various parts. 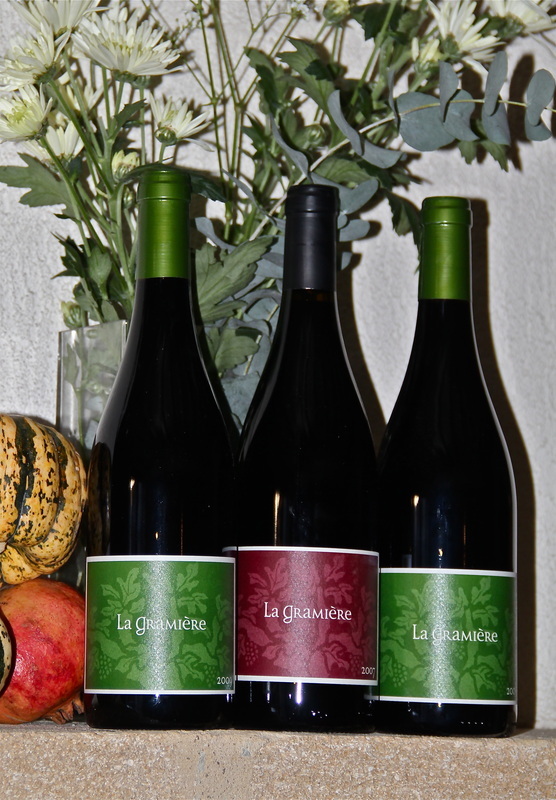 We taste their top of the line Syrah/Grenache blend 2009 La Sarrazine which is very good. We have a bottle later that evening when we find it on the wine list of the restaurant. As we leave Jean-Michel it is getting dark and so we also bid farewell to Joe who has been a most excellent guide for the day. His knowledge of the industry and close relationship with each of wine makers has meant we have had a truly unique insight into the wine making industry in this part of France. We find and check into the Hostellerie Provincale. The hotel has a restaurant and as the minstral is blowing hard outside we diecide to eat in. Well that is a lucky decision as the meal is excellent and Margie rates her dinner as one of he best she has had on our trip. Not bad since we have eaten at Hong Kong's 2 Star Michelin Restaurant, Harry’s Bar and Bristo de Venise in Venice, Hibiscus and Gordon Ramsay @ Claridges in London plus other fine eateries Paris, Barcelona and Prague. Sometimes times you just find a diamond in the rough. We will keep looking. Saturday is market day in Uzes. As Christmas approaches the market is busy and chock full of Christmas goodies. The market is in the town square. It is a expansive square surrounded on all sides by the ancient stone buildings that make up the centre of the city. 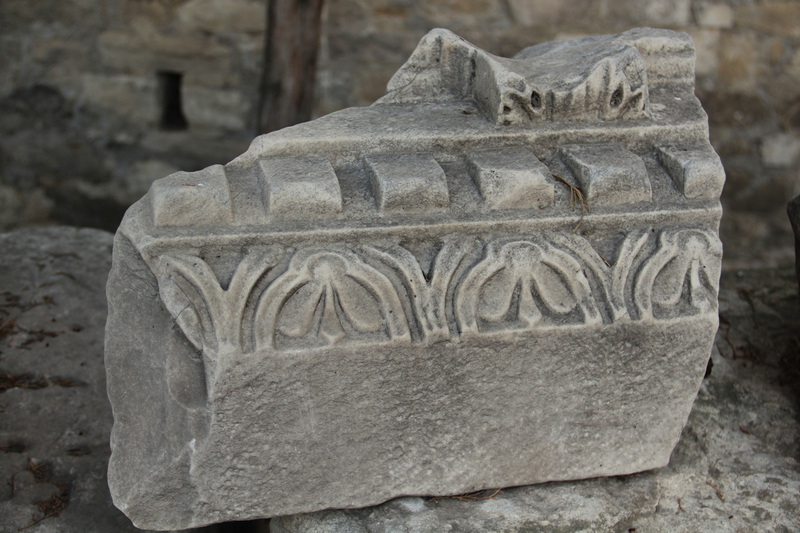 There are massive stone arched passages surrounding the square and market stalls and sellers are squeezed into every corner.They spill out and down into the laneways that run into the square like spokes on a wheel. 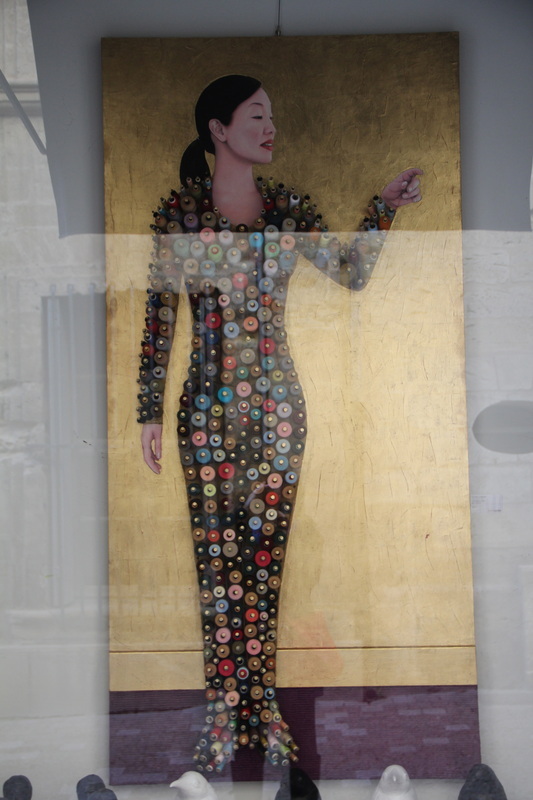 There is every sort of clothing, food, nik naks, wine, furniture and artisan products. Shoppers are already crowding around the stalls by the time we arrive at about 10 am. Although there are plenty of cheaper market goods that one would find in markets anywhere in the world there are many vendors with smart, stylish and artisan goods. 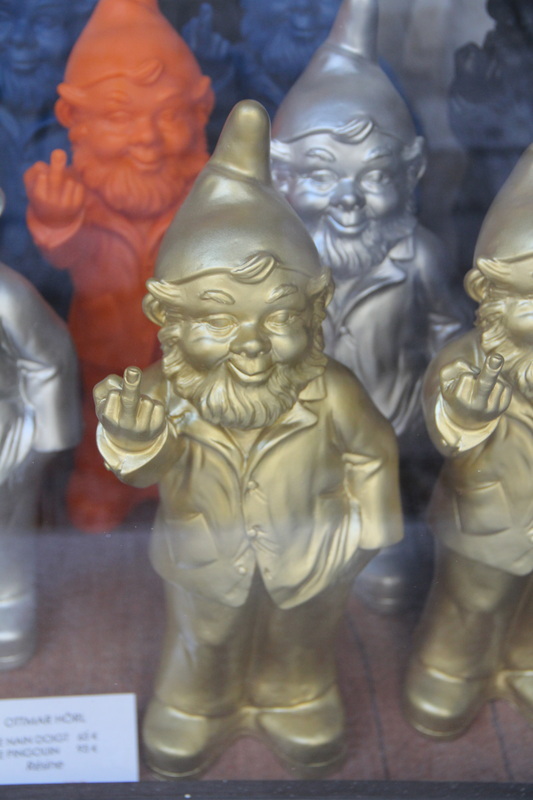 They proudly boast that their goods are "made in France" and it is often obvious that they are. Although there are numerous annoying and difficult to understand aspects of French life their appreciation of stye and commitment to quality are commendable. We make a few purchases, Christmas presents to go back to Australia but appreciate that anything we buy will need to be carried back so restraint is called for. 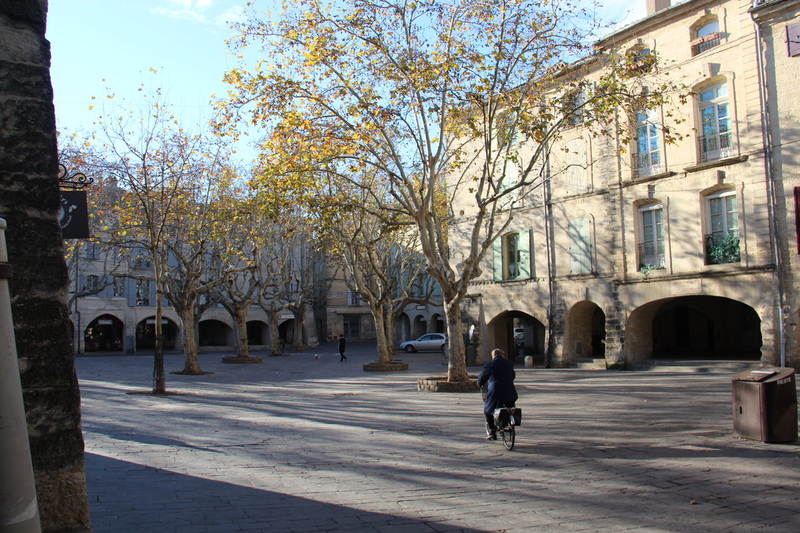 We are off well before the market finishes as we are want to check out Aix-en-Provence which is about 70 mins drive away. We arrive in "Ex" as the locals call it and are impressed. 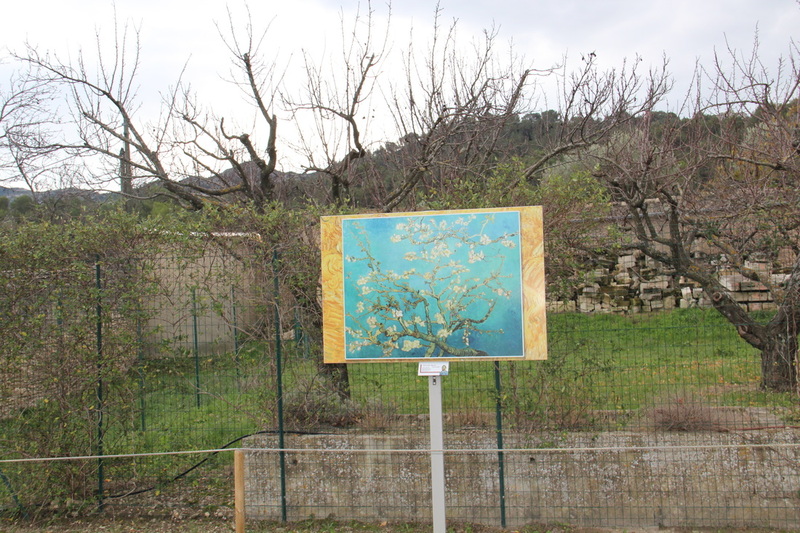 The drive provides plenty to see as we traverse a procession of small villages and the Camargue a swampy wetland which is quite different to the limestone mountains and valleys that we are used to in the Minereve and Languedoc. 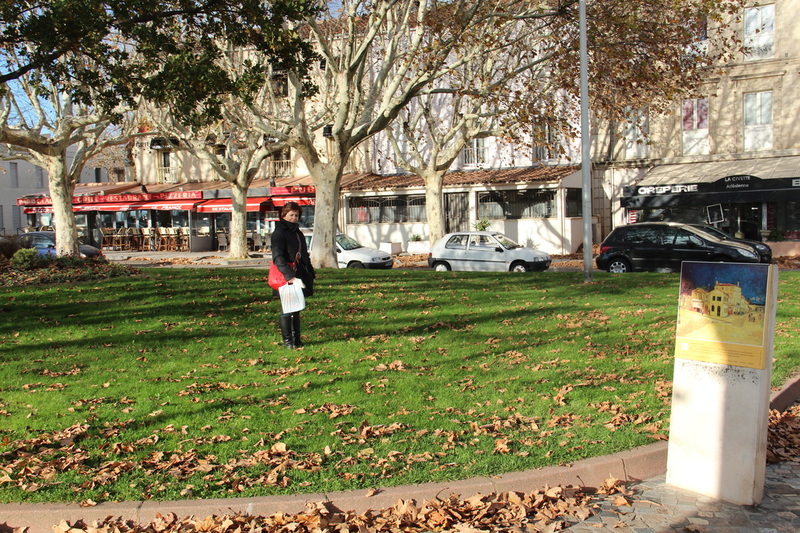 Aix-en-Provence is a prosperous modern city and we are told it has excellent shopping. It too has a Christmas Market but here it is in a massive pedestrian mall that runs 200 m through the heart of the city. There are again stalls selling every sort of Christmas paraphernalia and gifts. There is also a carnival atmosphere with merry-go-rounds and fairy floss along with street music. This is a common theme we see in many French towns as they prepare for Christmas. It seems that everyone here loves a party. We spend a few hours checking out the city and are sorry that we do not have more time to spend. Margie does give the local art supply store a good workout though. She is really getting into the painting and drawing. The ghost of Vincent is exerting a powerful influence. 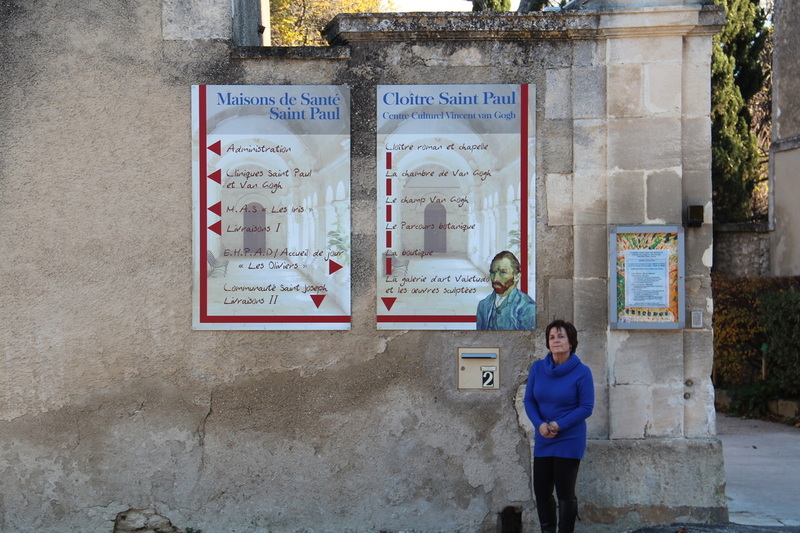 Sunday we have to leave Uzes and head back to Olonzac but we have a couple of calls to make along the way. hospital. We stroll around the town and find a map. 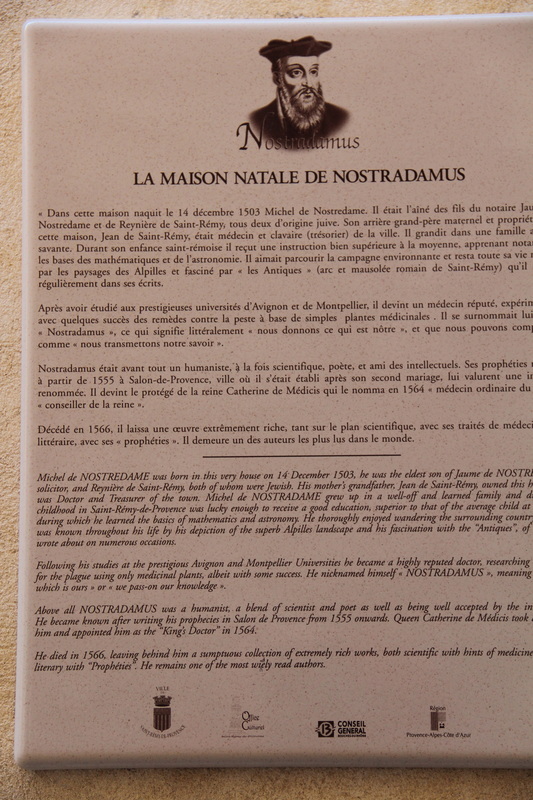 We stumble unexpectedly upon the house where Nostradamus was born but no time for distractions as we need to find the Asylum Saint-Paul-de-Mausole. First we find the modern hospital that still exists on the site and then older buildings that are now mostly just a museum dedicated to Van Gogh. 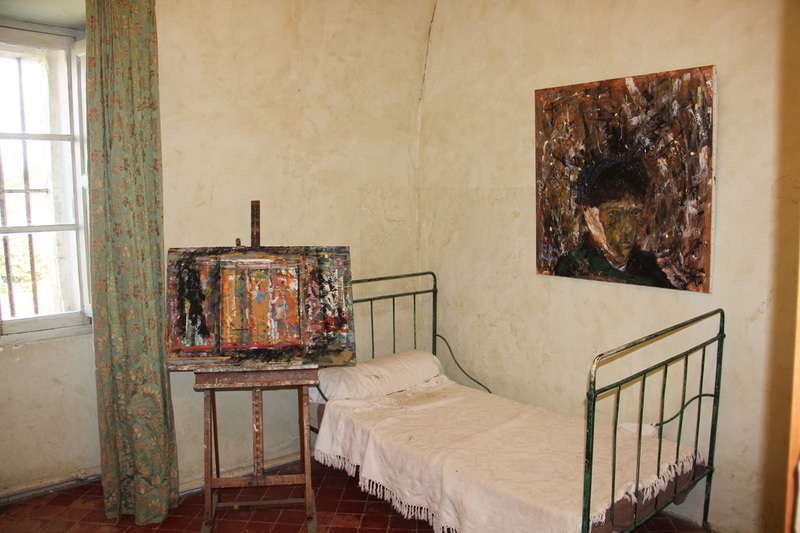 Interestingly the modern hospital uses painting as a form of therapy and examples of the inmates work can be viewed and purchased. 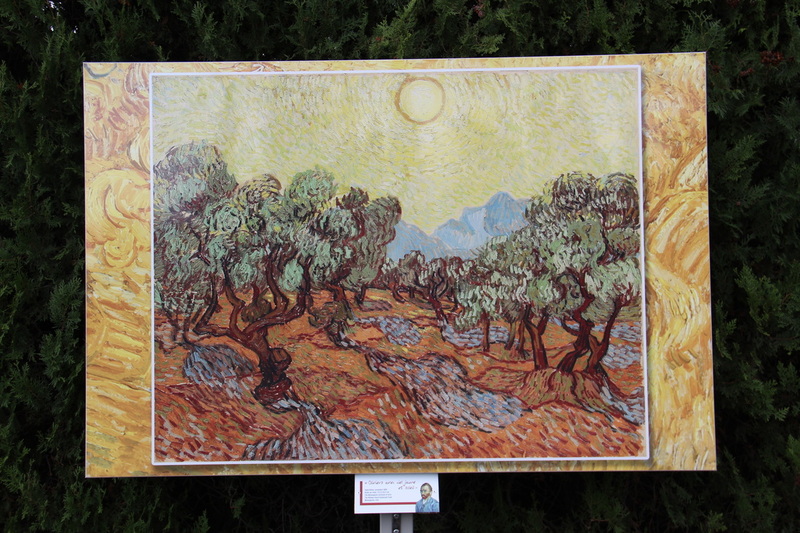 Is there another Van Gogh here? Certainly some of the work displays talent. 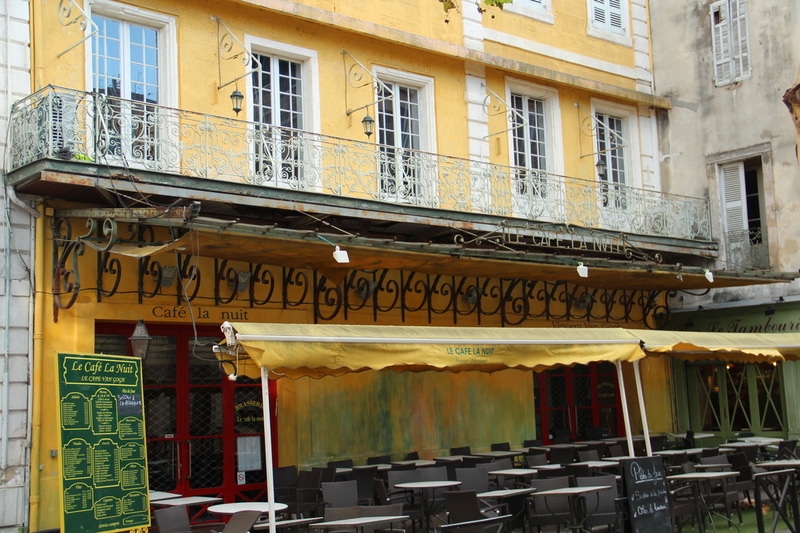 He voluntarily admitted himself here in May 1889 after continued problems with illness and his neighbours in Arles. 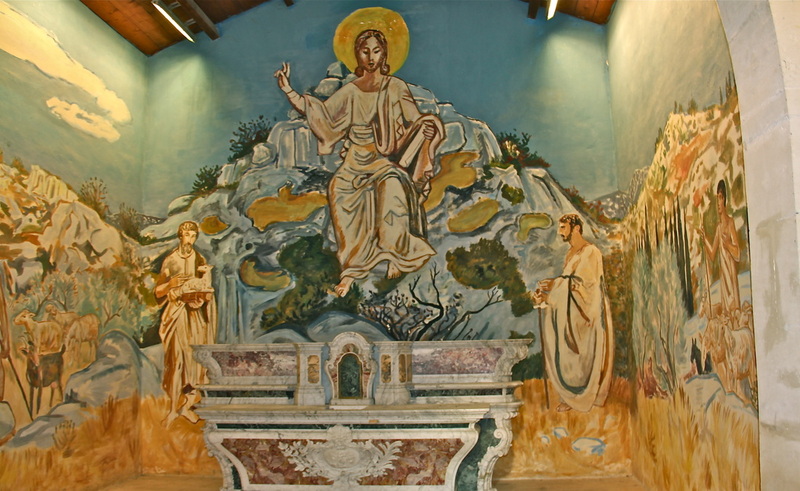 In the Asylum Saint-Paul-du-Mausole, he painted some of his most famous and certainly most dramatic works. 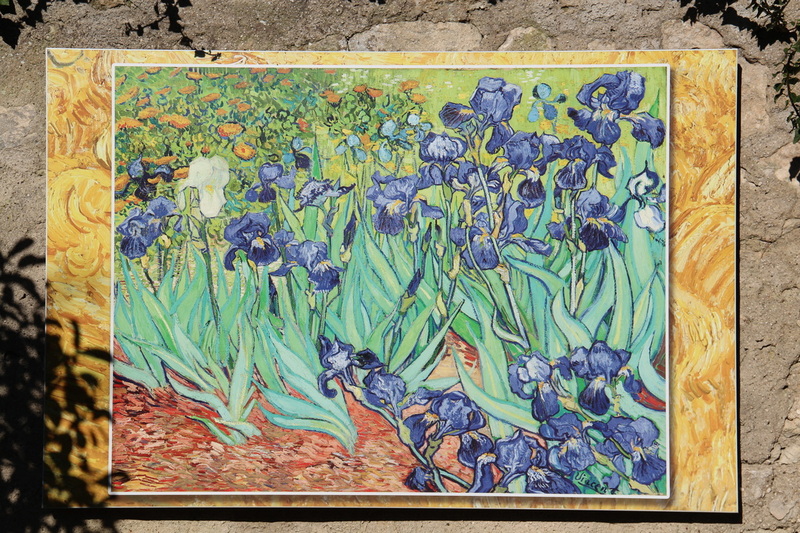 Despite his incarceration and the problems that presented he still managed to produce over 150 painting including Starry Night and Irises in the year that he spent in the hospital. 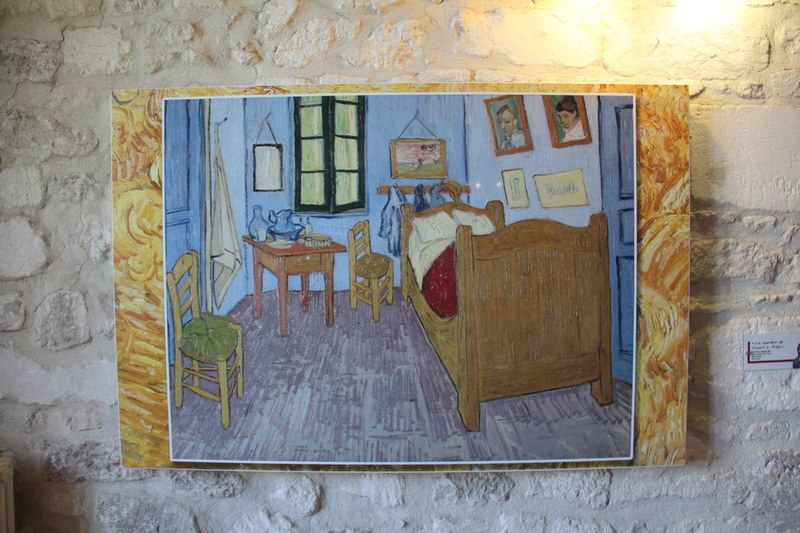 Standing in his room or in the garden where he worked you can still see just what Vincent saw and appreciate the way he captured the essence of the place and the people that he painted. 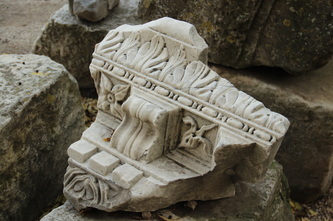 You feel his spirit, still flowing from prints of his famous painting, that appear in every corner of the building and the gardens.You can appreciate the sadness and turmoil of his tempestuous and driven existence.He may not have known much happiness but perhaps he did not seek the lotus flower. Or perhaps the mistral blew too strongly through the corridors of his soul. 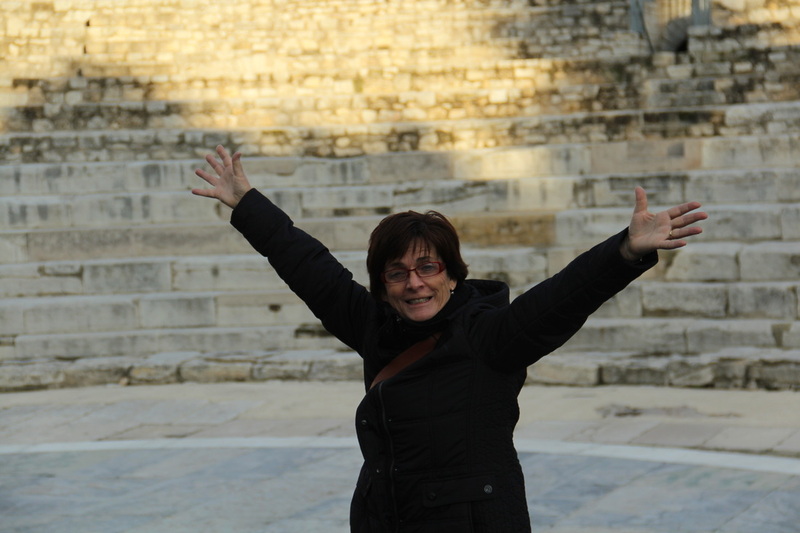 We escape from the Asylum and head off on the short drive to Les Baux. The high rocky outcrop is crowned by a ruined castle which commands a spectacular view of the surrounding countryside. 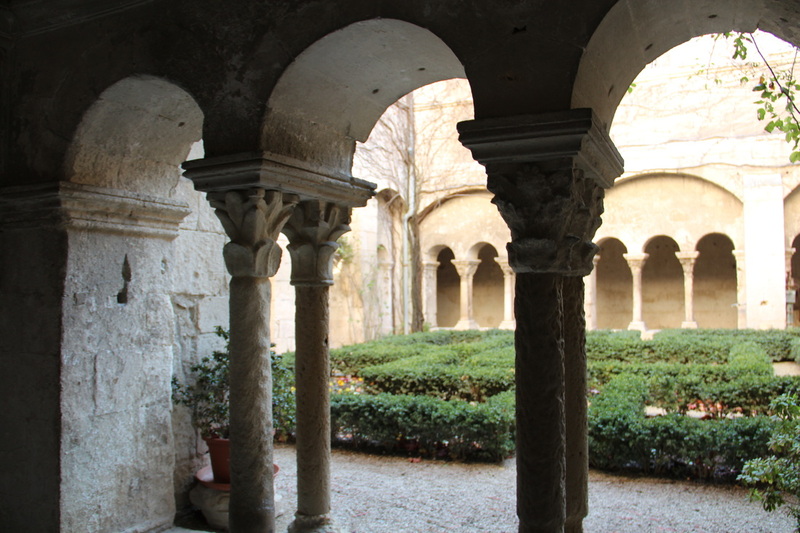 The area has been under the protectorate of the Grimaldi Family ( rulers of Monaco) for the last 400 years. Even though it is now totally under French administration Princess Caroline still uses the title Marquis de Baux. The rocky outcrop also gives its name to the mineral bauxite which was discovered here in1821. 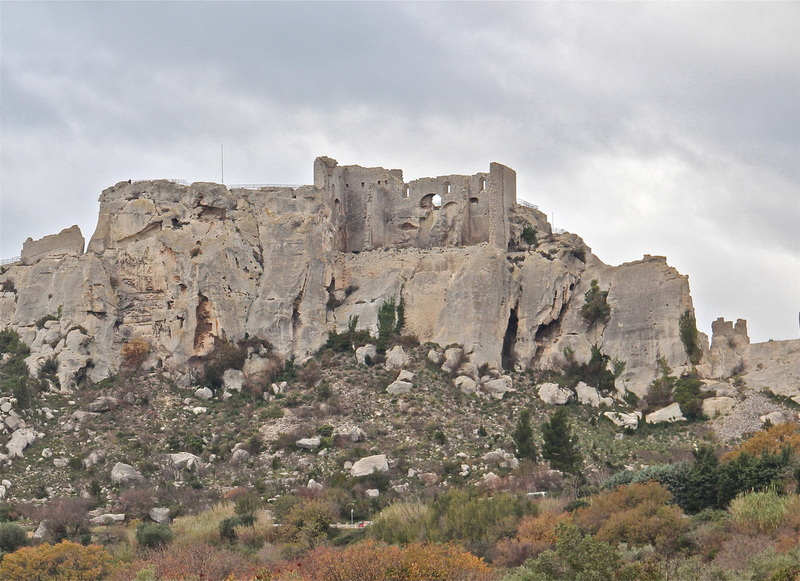 You can never really tire of exploring these hilltop castles even though it would take a 150 years to visit everyone in France, not to mention the rest of Europe.Each one is different and Les Baux is no exception. Just spectacular and even now in the first days of winter there are quite a few tourists. I hate to think what it would be like in summer. 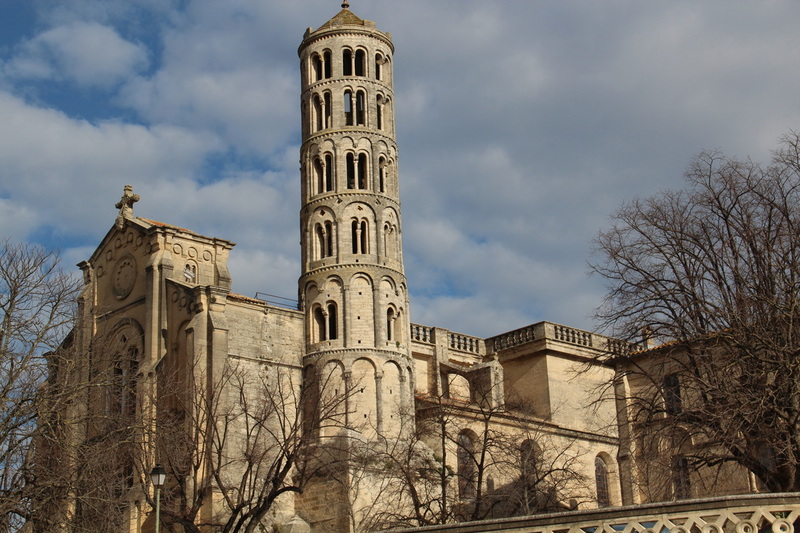 Unfortunately we cant stay very long as we have an appointment in Beziers on the way back to Olonzac. 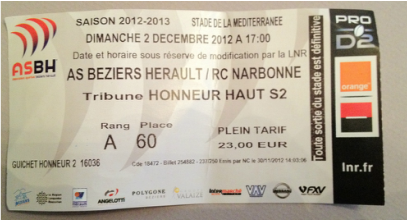 At 5 pm the Narbonne Rugby Club is playing Beziers in the French Pro D2 Championship. This is the second tier French competition.It is a fully professional league and the Narbonne club is owned by Randwick and ex-Australian Coach, Bob Dwyer's company. They have installed Josh Vallentine as captain and ex-Wallaby Justin Harrison in an attempt to regain the Club's former position as one of France's strongest clubs. Tonight's game is against neighbouring Beziers who are coached by NZ legend Andrew Merhtens. The home crowd of about 6000 is whipped up by the ground announcer and there is plenty of music blaring to get the audience rocking. When the players take the ground and the game begins it is apparent that Narbonne are a well organised and coached outfit and look to have the wood on their neighbours. Still the locals hang in there and at half time Narbonne have a narrow 14 -12 lead. In the second half Beziers stage an early revival to lead 17 -14 but even though Narbonne are headed for a while they dont lose composure and quickly gain the ascendancy against a team that looks not fit enough to play at this level. In a period of 11 minutes in the last quarter of the game they score 21 points and put away the home team. It appeared that Narbonne racked the cue in the last 10 minutes and the final score Narbonne 34 - Beziers 17 flatters Beziers.